Think Outside – CREATING. DISCOVERING. CHANGING. 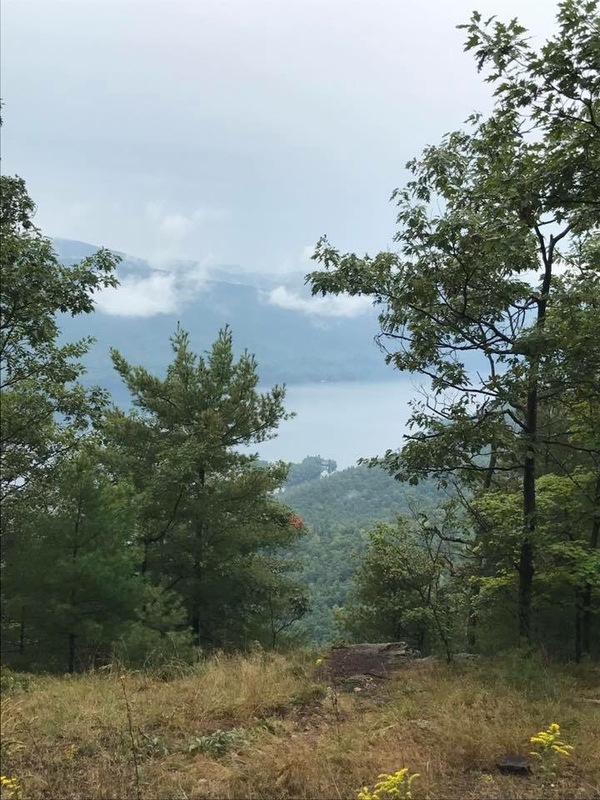 Last September my husband and I went to the Adirondack Mountains in upstate New York. The breathtaking mountains that surrounded Lake George were like looking at the finest art God has ever created. The rich history could be felt by the spirit everywhere you turned, and the purity in the mountain air was unlike anything I had ever experienced. No great adventure is ever complete without meeting people along the way, and boy did I meet some amazing people! I met a firefighter crew straight out of New York City as we soared down the whitewaters of the Hudson River. Their passion for life was infectious and their love for serving others was inspirational. I met an aspiring Appalachian hiker in training to complete the 2000 + mile Hike. We also met an amazing couple at the top of a Pilot Knob observation point that were encouraging us to never quit hiking together. They said hiking has brought great joy in their marriage and they said to keep going as long as our body is able. Out of all the amazing people I met, I’ll never forget Dave. Dave was the owner and operator of our lodge we stayed at overlooking Lake George. Him and his wife ran the lodge together and had their forever home detached next to us on the lake. He taught us how to Stand Up Paddle, and let us play fetch with his rescue labs on the beach. After making small talk for days I finally asked Dave how he ended up in Bolton Landing, NY. His answer will forever be embedded in my mind. He was a Manhattan resident working as a highly successful investment banker for a large national bank. His success was great there and Dave had a bright future at the bank. He loved what he was doing, until he found Lake George. After years of working long hours and never feeling fully satisfied in what he was doing, Dave decided to do something crazy! He said three words to me I’ll never forget. At age 38, with high blood pressure, and a high mortgage, Dave left Manhattan. He sold his apartment, sold his car, and bought this little rundown multiplex off of Lake George and turned it into one of the top lodge resorts in the city. He never returned to Manhattan. Dave left everything that made sense and was safe, for everything that wasn’t. This was ridiculous and over the top. Who would ever do that?! Who would leave the city that never sleeps with a promise of wealth and success for a Lake house and a dream? Dave did and he did it to save his life. He said he didn’t want to wake up living for someone else when he knew he could do this for him. He left Manhattan. He left the money, the job, the benefits, and security, for something he knew was greater. Not necessarily greater in dollar signs , but greater in quality. A better life, with peace, laughter, freedom & the ability to live the American dream. Together they built a life they can both be proud they lived. A life full of memories and abundant in experiences. Just a clarification, Dave became debt free just a few years after moving and is now a millionaire as a successful entrepreneur running the Lake Lodge. Dave’s Story wasn’t long. Just 10 minutes or less, but it will stay with me forever. I have to ask myself “what is my Manhattan?” What do I need to let go of in order to create a great life. A life that is well lived and abundant in the things that matter? What do I need to walk away from even though long term it’s safe and secure? I pray I live a life like Dave. I thank him for his 3 words that have impacted my life greatly. God puts everybody in our lives for a reason. Even if they seem insignificant to you they are purposeful according to God . I only knew Dave for 5 days, and I only spent maybe 45 minutes with him while on vacation & yet my life is different because of his story. He may not know how inspiring “I left Manhattan” was to me, but it’s changed the way I live my life. I hope you find your Manhattan, your future self depends on it. It’s always nice to be able to go do a hike in the evening after work and school, but if you live in the city like I do, it can be tough without traveling long distances. One of the best benefits of living in NE OKLAHOMA, is the access to several lakes, hiking trails, mountains, and green country! The popular ones including Turkey Mountain and Redbud are relatively close in distance if you live in Tulsa or Catoosa area. One best kept secret in Green Country is located in Broken Arrow, Ok! Ray Harral Nature park. Located off 121st behind Spring Creek Elementary has an easy hike with lots of wildlife. In the 3 mile loop you can track across 3 different trails and see an amazing bridge built by the Boy Scouts of America that has been a popular feature in several photographers portfolios. 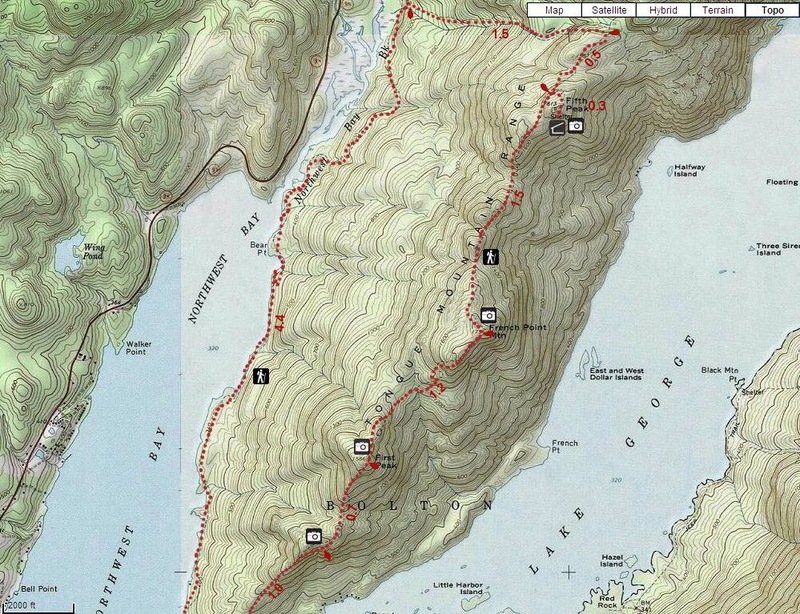 One of the best things about this trail is the history! In 1909 the residents within the community used this 40 acres as the primary water source. Since the park is fed by a natural spring it served many people for several years and some of the remnants still remain there today. It’s a beautiful place to find peace and quiet after the hustle of a busy day. Get some fresh air with the family and pack a simple picnic to enjoy yourself and kids! Print out a Nature scavenger hunt, Nature bingo or even go geocaching. The nature center has an observation deck open to the public during office hours and also has fun family events that are affordable. You can enjoy learning about several different animals, and insects within the nature center. Ray Harral Nature Center also has a room available to rent hourly for Birthday parties, group events, or other gatherings. Don’t let the mundane daily tasks wear you out! Go out for some adventure time even during the week and blow off some steam and let Nature ease the soul. Find out more at Broken Arrow’s resident page! Stay tuned for incredible blog posts that will go into more depth about all of our amazing adventures in the Adirondacks! Including how we made this entire trip possible on a small budget. Zip lining has to be one of the greatest adventures! Nothing says thrilling like being attached to a pulley, hundreds of feet in the air, on a cable that can be over a mile in length. Zip lining is an attraction that many people have experienced throughout the world. Before it became used by adrenaline junkies, zip lining was actually used quite often as a way to transport items or traveling. According to Oahu Zip lines, zip lining was used for centuries to cross rivers and travel over steep mountains. Many would transport food and water back to their homes using the pulleys for safer & more effective transportation. Eventually as technology became more advanced, a lot of the zip line systems were replaced with bridges. In the early 1970&apos;s, zip lining went recreational with the first ever thrill zip line. The idea was launched by scientists and ecologists using the zip lines as a way to study in the jungle. They researched animals, wildlife, and various plants by the pulley technology. A few of these scientists became the catalyst of turning this system that was used to study into a worldwide thrill business! Now with over 200 hundred recreational zip lines in North America, its one of the leading thrill rides amongst adventurers. 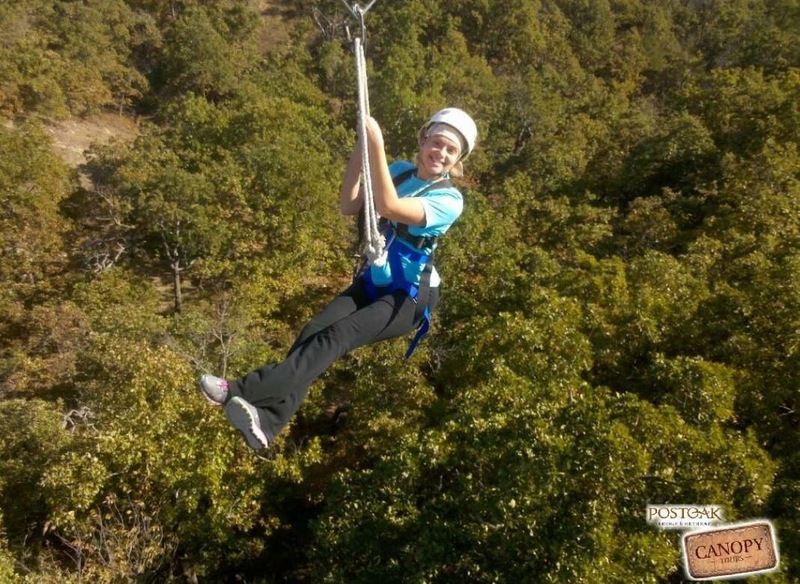 One of the best attractions Oklahoma has to offer is Post Oak Canapy Tours (Zip Lining)! 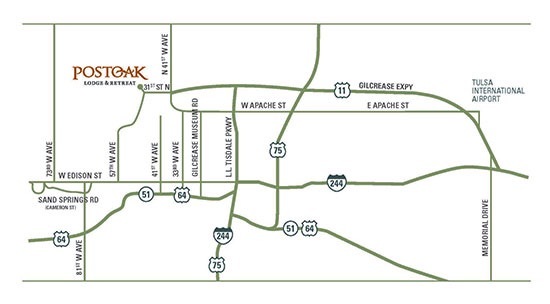 Located just northwest of Tulsa in the beautiful Osage Hills is Post Oak Lodge & Retreat. Surrounded by the rolling Osage hills, POSTOAK Lodge & Retreat sits on 1,000 acres just 10 minutes from downtown Tulsa. From weekend getaways to group events, POSTOAK provides banquet space, comfortable accommodations with spacious common areas and leisure activities. The lodge offers beautiful rooms, 5 star outdoor scenery and a world class pool! A great place to take the family or have a romantic getaway. You will also have access to one of the largest zip lines in the state. POSTOAK Zip Line Canopy Tours takes thrill seekers soaring above the treetops along a network of more than 3,865 feet of cable line — that is longer than 10 football fields! Zip from platform to platform and enjoy a bird’s-eye view of Oklahoma’s magnificent Osage Hills and downtown Tulsa. Daredevil or not, this will be an amazing, fun and rewarding ride! Post Oak offers several different zip times and offers private tours for corporate parties or large groups. Don&apos;t wait another minute! Call today to set up your trip of a lifetime. Click here For all the info! Another zip lining tour offered in Oklahoma is located in the beautiful Arbuckle Mountains! Air Donkey Zip Lines offers Davis, Ok a 2 hour canopy tour, with one cable stretching 1800 feet long! This makes Air Donkey Zip Line the longest one in Oklahoma. Located just 2 hours south of Oklahoma City and 3 hours from Tulsa, location makes this a great getaway for any thrill seeker. Click here to plan your next Adventure in southern Oklahoma. A third zip line for all the Oklahomans and visitors is home to Beavers Bend State Park. The Rugaro Adventures offers a one of a kind experience with 6 zip lines traveling at speeds between 35 mph and 65 mph. Located next to Broken Bow lake, this gem is nestled in the breathtaking Ouchita Mountains, so you won&apos;t leave disappointed. If you want to experience Broken Bow, Ok like never before, book your next zip trip here! It&apos;s always important to check the forecast and plan accordingly. If rain looks likely there is a good chance you will have to reschedule for safety purposes. Light weight and light colored clothing is always best. Temps get reach well over 90 degrees and it&apos;s important to wear clothing that allows your body to cool off fast! Closed toe shoes are best. You will be climbing ladders and walking through some trails in order to get to certain parts of the zip lines so you want comfortable shoes with protection. Sunblock! Never forget to wear sun protection while zip lining. Most areas are in full sun and offer very little shade. Long sleeved shirts or thin pullovers. Hoodies are NOT recommended while zip lining because the thicker material can obstruct the safety equipment. Jeans or leggings will work great for cooler weather. Again nothing to bulky or thick that may cause the safety equipment to not fit properly. Safety equipment will be provided by most canopy tours but please call to verify! See the beautiful Oklahoma skies from a different perspective. Your next adventure is waiting for you.